1. Bizzy Kid Quilt from Allison at Cluck Cluck Sew. I already purchased this pattern and can't wait until I can find time to make this quilt. Love it! 2. Argyle Quilt via Quilts and More. Vanessa of V and Co. and published in Quilts and More magazine. I LOVE this quilt. Gorgeous! 3. Rainbow Quilt from Jolene at Blue Elephant Stitches. Love the bright colors against the white, and that polka dot binding is perfect. 4. Diamonds Mini Quilt from Lindsay at Lindsay Sews. I love the gray background and the scrappy rainbow binding. Beautiful! Do you have a favorite quilt pinned in Pinterest or bookmarked to make someday? If so, leave me a link in the comments so I can check it out. Thanks! If you're interested in seeing my other quilt pins, click HERE. Interested in seeing ALL of my Pinterest boards? Click HERE. No clue what Pinterest is? Click HERE. 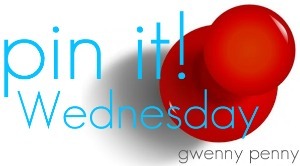 Great finds Gwen - I like all of them! So pretty. I really want to find some time to quilt. I love that first quilt. And the fabrics she used are so bright and fun. Aww, yeay! 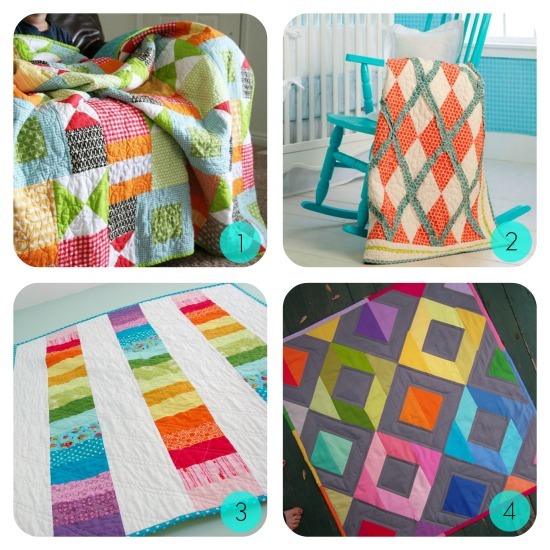 Thanks for featuring my diamonds mini quilt :) I'm flattered! You know I've had a quilt on the books for SO long now it's crazy... i have everything i need too. i just can't seem to find the time! these luscious picks of yours are very inspirational. they may be just the little push I need. I could at least get started... maybe? yummy! i want to wrap myself up in one! I have such a "quilt qrush" on that number 2!! I am going to do it one day! Vanessa is amazing! !